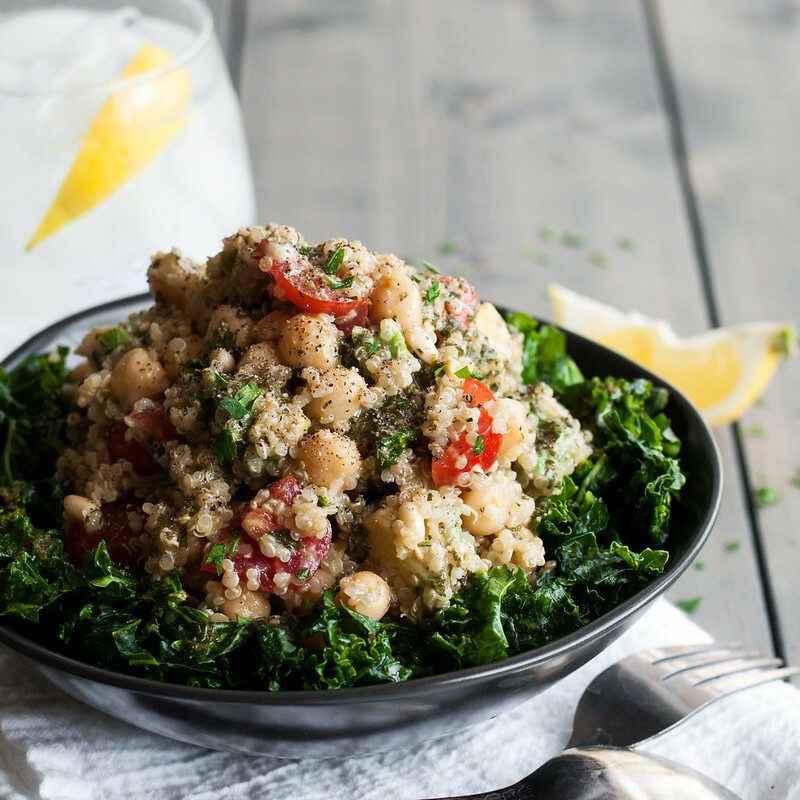 This quinoa tabbouleh recipe almost escaped me. Or should I say almost escaped you? Or maybe almost escaped the blog? Flipping through my images in Lightroom the other day on the way to getting the tamale pie pictures ready, I caught a glimpse of this salad and thought to myself, “What is that?? ?” I feel that lately I whine endlessly about my lack of time to sneak pictures of what I’m cooking and get it on the blog (because rest assured, I am still cooking–lots), but this recipe has been right under my nose, waiting to be typed up and shared with you all just in time for tomato and basil season! 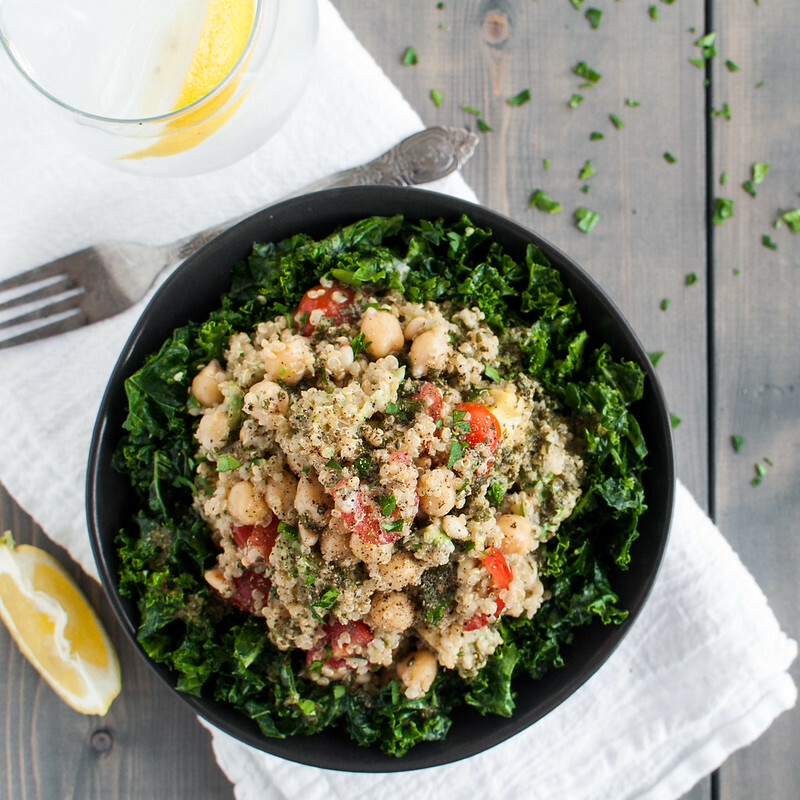 Like my creamy enchiladas, I’ve been making this quinoa tabbouleh since I discovered the recipe on Tori’s site. By the way, if you haven’t seen her amazing, educational recipe posts you must check them out. Anyway, the salad prep became habit and, as often happens at that stage in a foolproof recipe, it started to morph into my own version. I’ve obstinately refused to/procrastinated buying a mini food processor that would handle the original green dressing well, and since the small quantity isn’t suited to the large Vitamix or 11 cup food processor containers, I decided to hand chop it, leaving bits of fresh herbs to emphasize the feeling of classic tabbouleh. I found that mixing some of the dressing with slightly warm quinoa allowed the often-bland grain (ahem, seed) to soak up lots of flavor. 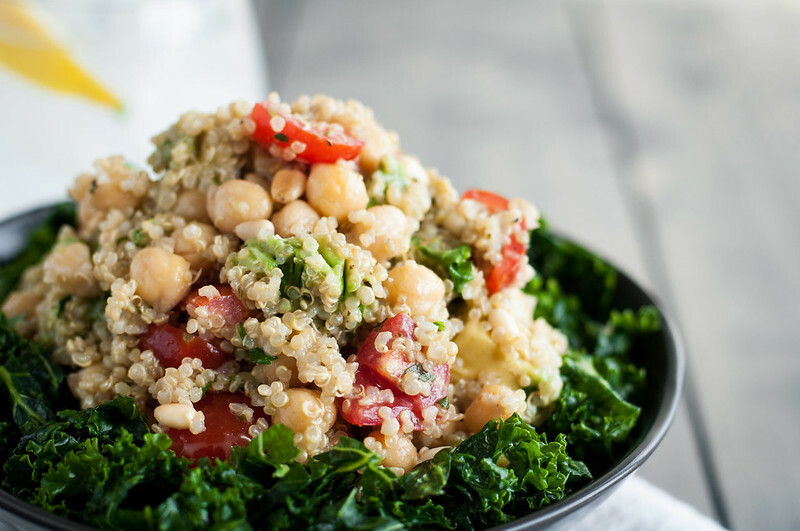 And while quinoa is high in protein, I guarantee its satisfaction factor as a one-dish meal by throwing in chickpeas or white beans of late. On its own, the quinoa tabbouleh is an uncontested winner, but I know there’ll be some opinions out there about the kale salad it rests upon. One word of advice. Actually, two. First, you don’t have to use kale. Use your imagination and find the best looking seasonal greens you can get your hands on. Second, if you do use kale, which I highly recommend from a nutrition and visual standpoint, you’ve gotta show it some love first. Don’t be like the kale salad I had at brunch in Nashville–piled raw on a plate, which makes me feel like a koala bear munching my way through eucalyptus leaves. Do follow the simple instructions in the recipe below for massaging the kale, or get more details here (and please note the show-off one-arming a huge Kitchen Aid in the background–hey hulk). Unless you’re putting it in a smoothie or cooking it, I don’t recommend buying kale pre-packaged/pre-cut. It will likely contain some very tough stems, which even a good massage can’t break down. It sounds like a lot of work, but the kale prep, along with the dressing and salad components, can be nearly finished while the quinoa cooks. 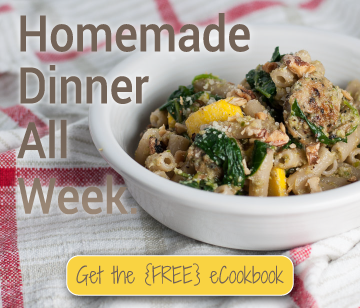 That means there’s a new recipe for the Natural Comfort Kitchen quick dinners archive! In the traditional sense, this salad probably isn't tabbouleh at all. It does share many of the best characteristics of the classic Mediterranean original, though: great to make ahead, based on an easy-to-prepare grain, and chock full of seasonal herbs and juicy tomatoes. Creamy dressing and avocado chunks make it extra satisfying, and mixing in some cooked chickpeas truly makes it a one-dish meal. Bring stock or water to a boil in a medium saucepan, then add quinoa and stir once. When water returns to a boil, reduce heat to low, cover the pan, and simmer 15 to 20 minutes without stirring. 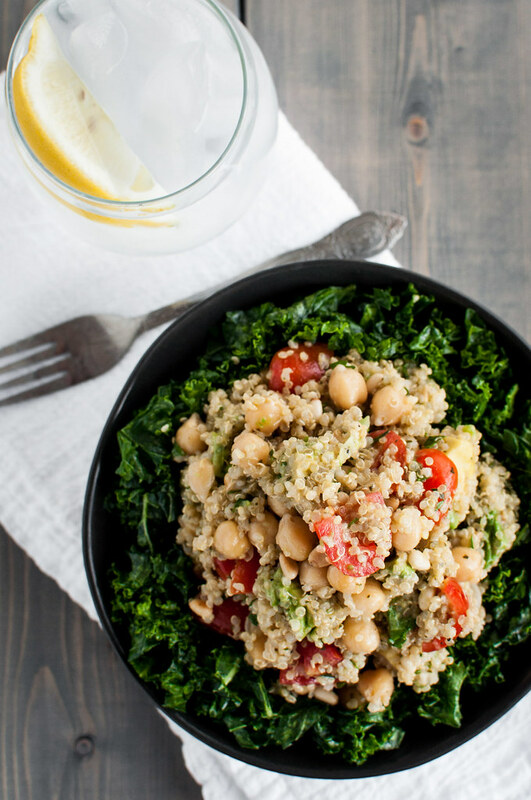 Taste quinoa for doneness, then drain and empty to a large mixing bowl to begin cooling. Meanwhile, heat a small skillet over medium and add pine nuts. Shake or stir frequently until almost all the nuts are golden brown, then quickly remove to a paper towel or plate to cool. Chop the avocado and coat in juice of ½ lemon to keep from browning. Finely chop half the herbs and set aside. Mince (or process) the other half and add to a small bowl or liquid measuring cup. Add mayo, sweetener, and the juice of 1 lemon and whisk to combine. Pour in olive oil slowly as you whisk. Taste the dressing and season with salt and pepper, as needed. Toss warm quinoa with enough dressing to moisten (start with half). Cool to room temperature, then add pine nuts, avocado, tomatoes, cucumber, and chopped herbs and stir to combine. If using, stir in the chickpeas. Season with more salt and pepper, if needed. In another bowl, add juice of remaining ½ lemon and a pinch of sea salt to the kale. Grab small fistfuls of kale and squeeze firmly, repeating to "massage" all the kale until it's dark green, fragrant, and tender. 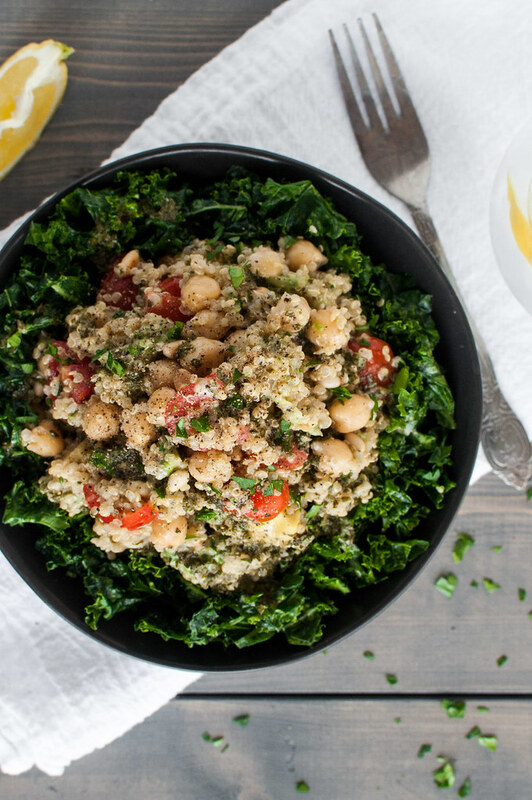 Serve tabbouleh over the massaged kale with any remaining vinaigrette. Prepared as prescribed, the salad is gluten free and vegetarian. Make it vegan by substituting vegan mayo, such as Just Mayo. The vinaigrette can be prepared a day ahead of time. The salad keeps well for several days. If you're making it for a party, wait until serving to add the pine nuts, for maximum crunch. Adapted from Tori Avey's quinoa avocado tabbouleh recipe, a long time favorite of mine. 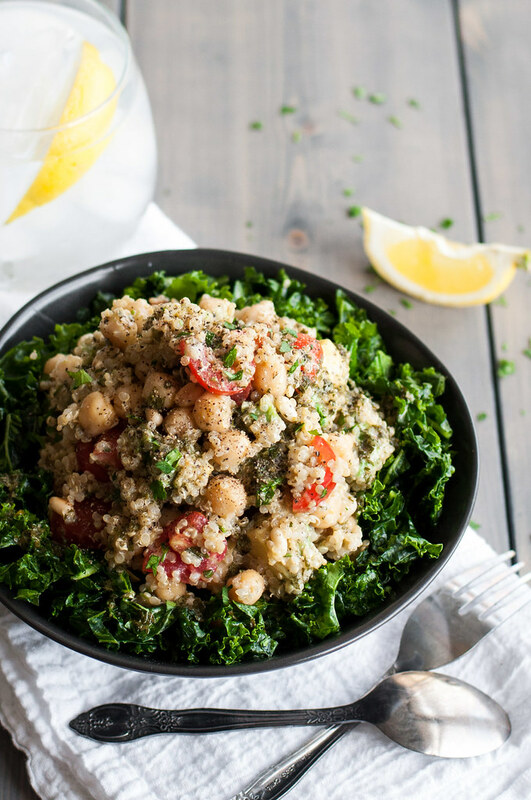 This tabbouleh looks amazing!! My sister in law is obsessed with Quinoa and would absolutely love this!! PS thank you for linking to my Succotash Ragout! ;-) Happy Weekend! No problem Cyndi–loved that recipe in the book so I was excited to see someone tried it! Enjoy the quinoa if you make it and hope you have a great weekend. This looks so good! I love fresh summer salads like this and I especially love flavorful vinaigrettes! I would definitely use the kale like you did! I made this last night – it was perfect! Thanks for another winner. Oh, and that carrot mac & cheese you recommended. Holy smokes. My husband is decisively NOT a mac and cheese eater so I was a bit nervous – he couldn’t shovel it in fast enough. Thanks again!